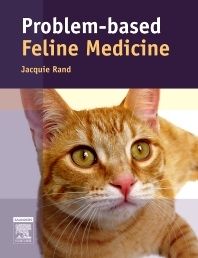 This focused resource covers all medical conditions that affect cats. Using a unique problem-based approach, it provides essential information for assessing presenting symptoms, reaching a differential diagnosis, and selecting the appropriate course of treatment for feline patients. A consistent format makes it easy to find information related to key signs and possible causative factors (graded to indicate how common each is), diagnosis, differential diagnosis (including tests where appropriate), treatment, prognosis, and prevention (where applicable) for each clinical condition. Unique problem-based approach discusses how to make a problem-based diagnosis. Concise, logical format makes this resource ideal for quick reference in the clinical setting. Covers every condition likely to be encountered in cats worldwide. A comprehensive drug formulary lists all drug treatments available for cats. A separate chapter on drugs in cats lists the problems veterinarians might encounter due to differences in feline metabolism.